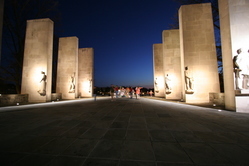 Visitors at the War Memorial on the evening of April 21. 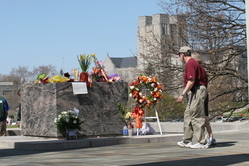 Visitors view flowers and other mementos at the War Memorial. 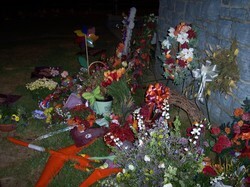 Photo taken April 21. 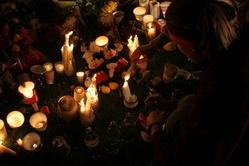 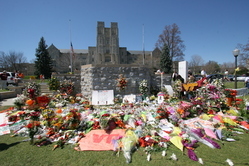 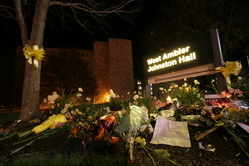 Candles and mementos at the memorial in front of Burruss Hall. 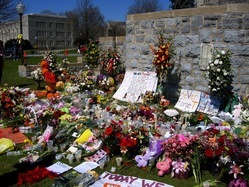 Photo taken April 17.